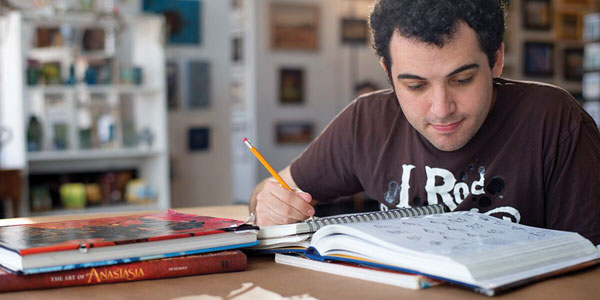 “Life, Animated,” a documentary film about a boy with autism spectrum disorder who connected to language through Disney animation, has received an Academy Award nomination for Best Documentary Feature. Based on the book “Life, Animated: A Story of Sidekicks, Heroes and Autism” by the boy’s father, Pulitzer Prize-winner Ron Suskind, the film won the 2016 Sundance Film Festival U.S. documentary directing award. The book describes how Owen, who stopped speaking at 3, memorized dozens of Disney movies. In them, he found a pathway to language and a framework for making sense of the world. In response, his family members transformed themselves into animated characters, communicating with Owen in Disney dialogue and song. The book has coined and has spurred research on “affinity therapy”—leveraging an person’s core affinities to tap into brain reward circuitry supporting social motivation and social learning. Scientists at MIT, Yale, and the University of Cambridge are investigating whether tapping into a person’s obsessions or preoccupations can be systematically developed as a treatment, if the treatment is beneficial, and the neural mechanism of any benefit. Results of the cognitive-neuroscience studies could inform the development of an empirically validated, affinity-based, cognitive-behavioral inteervention targeting the core social communication deficits of autism. Using Disney to Encourage Communication and Engagement—SLP Rebecca Eisenberg shares what she gained from reading the book that inspired this Oscar-nominated film. Barry Prizant has helped change the conversation about autism from one about pathology to one about unique differences in thinking, communicating and relating. Carol Polovoy is managing editor of The ASHA Leader. cpolovoy@asha.org.